Ever thought about traveling Kottayam to Kochi in just 5 minutes? 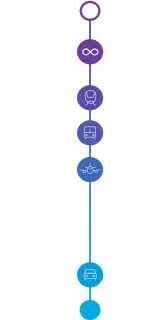 Well, it could be possible if we apply the concept of Hyperloop one. We live in an Era where time is money, money that we lose and won't get back ever again. Hyperloop one focuses on effective travelling across cities. 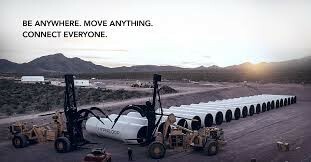 Following a motto of “Be Anywhere, Move Everything, Connect everyone “, Hyperloop one achieves the vision of travelling in the future. 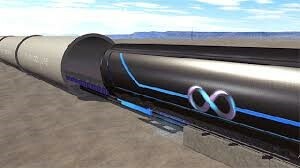 Hyperloop One is the beginning of a new way to move people and things at airline speeds for the price of a bus ticket. It's on-demand, energy-efficient and safe. Just as simple as the broadband for transportation. They use a custom electric motor in order to accelerate and decelerate a levitated pod through a low-pressurized tube. The vehicle will glide silently for miles with absolutely no turbulence. All this, is happening faster than you think. Hyperloop one tested their motor in May, 2016, and will test their full system in early 2017 (Abu Dhabi to Dubai, 160km in just 12 minutes). The world is ready for a new mode of transportation that will change the way we live, we thrive, we think. Hyperloop one is in the business of selling time, the most precious resource there is. When cities become metro stops, regions will indeed flourish. Look outside the window for the future is here. This was one of tesla's idea.